Deciding on the type of carpet you want for your home is only one part of the equation. You must also consider what it will take to keep your flooring looking its best for as long as possible. By implementing effective cleaning techniques, you can significantly extend the life of your floor covering. Follow these maintenance tips to maximize the life of your carpet. 1. Start each day with a thorough vacuuming. 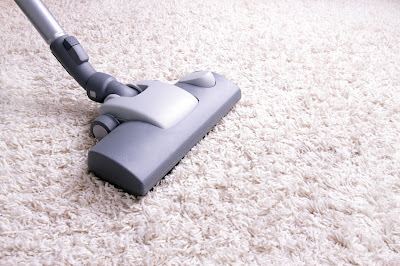 Daily vacuuming is your best line of defense against a worn, soiled carpet. When you maintain a regular vacuuming schedule, you're able to pick up nearly 80 percent of dry soil, which prevents an accumulation of dirt and debris. If left to sit for an extended period, this soil can become stamped firmly into the fibers. 2. Quickly clean up spills. The longer you allow a spill to sit, the more time it has to seep deeply into fibers. Take the time to thoroughly clean spills immediately after they occur to preserve the life and appearance of your carpet. Use a clean white towel to blot - not rub or scrub - the spill to remove the excess liquid. Then, use a tested cleaning solution to remove the rest of the spill and any stains the spill may have caused. 3. Hire a professional for a deeper clean. Every six to twelve months, call in a professional to deep clean your flooring. The high-powered vacuums and steam cleaners used by professionals remove dirt and grime that your average household vacuum often misses. These deep cleaners are also better at removing oily residues and stubborn stains. If you're on a budget, consider renting professional cleaning equipment that you can operate yourself. 4. Place mats at all doors. Entry mats help ensure that dirt and debris don't reach your carpets. Purchase thick, quality interior and exterior entry mats and place them on the outside and inside of each entrance of your home. Encourage everyone in the house to wipe their feet on the outside mat as well as the inside mat when entering the home. If possible, have everyone remove their shoes upon entry to the house. 5. Invest in quality padding. As you're shopping carpet stores in your area, ask the staff about padding for your new flooring. Padding not only makes the floor more comfortable to walk on, but it also helps to absorb some of the abuse your floors will withstand, especially in high-traffic areas. As not all types of padding are suitable for all types of carpets, it's important to seek the assistance of a professional to ensure that you purchase the right padding material and thickness. If you're in the market for new flooring, visiting carpet stores in your area will provide you with a wide selection of options to choose from. Before you head out to shop, be sure that you know what it takes to properly care for your new flooring. By using the tips mentioned above, you can keep your floor covering looking like new for years to come.